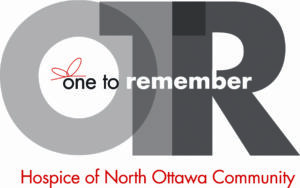 Hospice of North Ottawa Community is celebrating 36 years of providing compassionate, end-of-life care for patients and loving support to families in our community. We are also celebrating the 10th anniversary of caring for patients at the Hospice Residence at Heartwood Lodge. Since opening, the Hospice Residence has been ‘home’ to 850 patients, totaling 17,600 days of care. Currently, there is no other Hospice Residence in Ottawa County. The Hospice Residence is Medicare and Medicaid certified, offering the area’s only alternative to private pay. Our goals are to provide quality care and comfort for patients and their families regardless of their ability to pay. You help us make this happen through your gifts and financial support, as we would not be able to do this without you. We are honored to steward your gift in keeping with Hospice of North Ottawa Community’s tradition of medical excellence and compassion. This is a tax-deductible donation. If you would like to make this gift in remembrance of a friend of loved one, please provide their name in the Notes box. Sponsors are acknowledged in the event program.